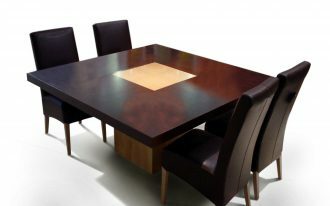 If you like rustic and want to take it as your theme of home decor, your dining room is the most perfect place to begin. 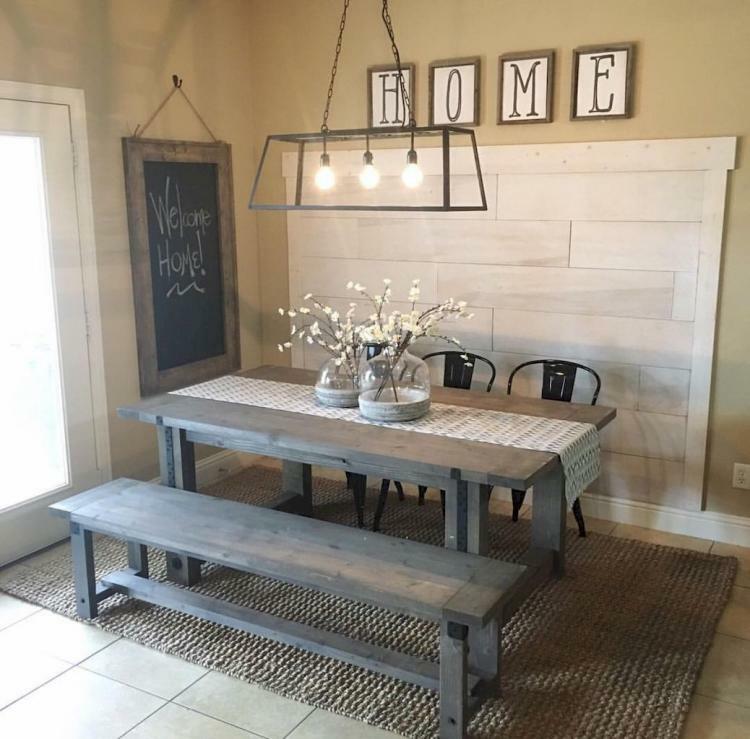 You can feature rustic elements with modern or contemporary style for a trendy & cohesive look. 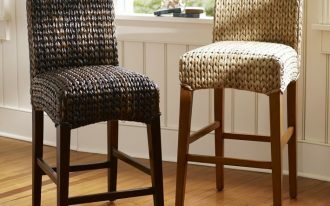 You can also act like an expert that easily mixes and matches your rustic pieces with the contemporary ones. Here we want to share how to do it. Let’s check it out. 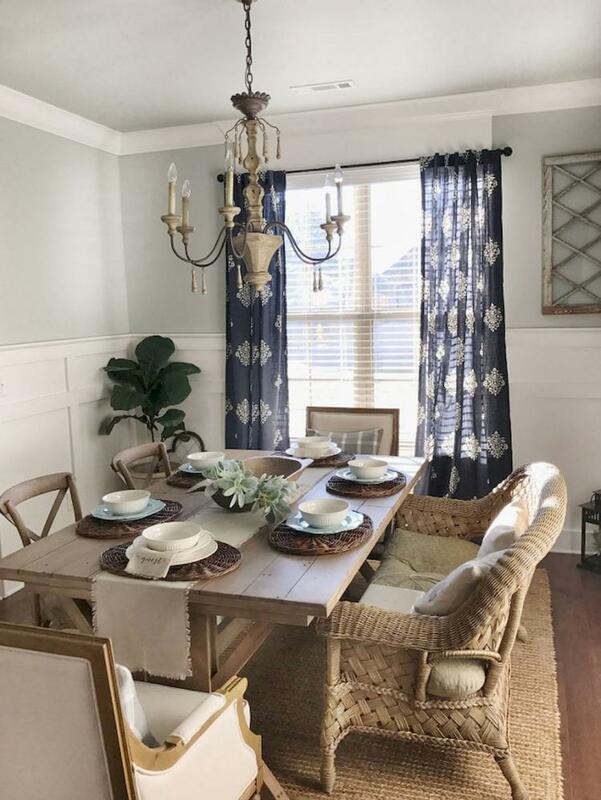 Woven rug adds more a rustic element in this space, acts like a charming base for these mismatching chairs and dining table. Still about the woven rug for rustic feel. 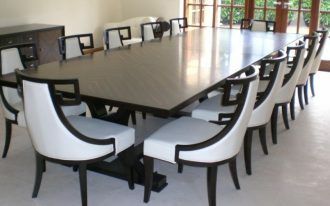 It’s wonderful if it features darker wood dining furnishings. 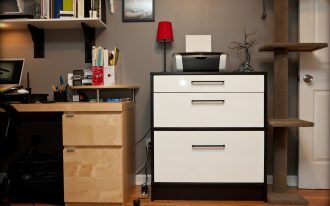 Use white as the color accent on furniture. 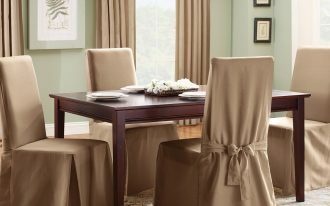 Get a dramatic view in your dining room just with such white drapes. 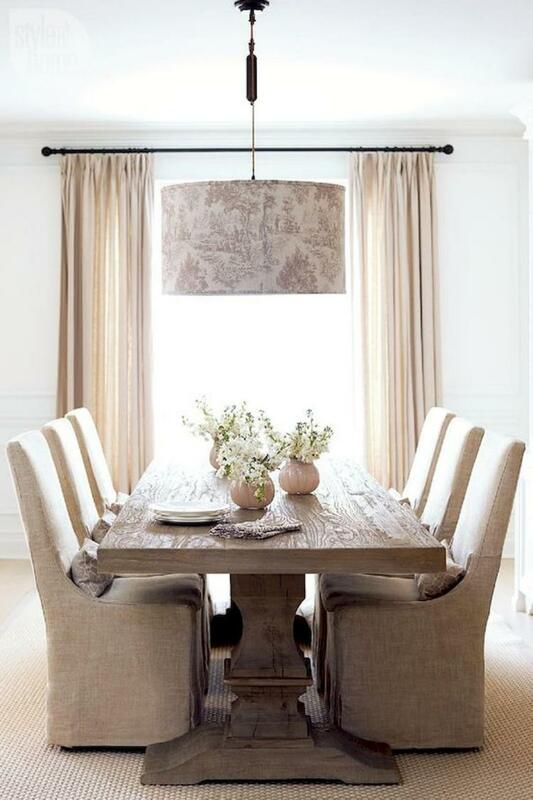 The existence of drapes probably brings airy atmosphere, but this rough wooden table really makes a rustic look. 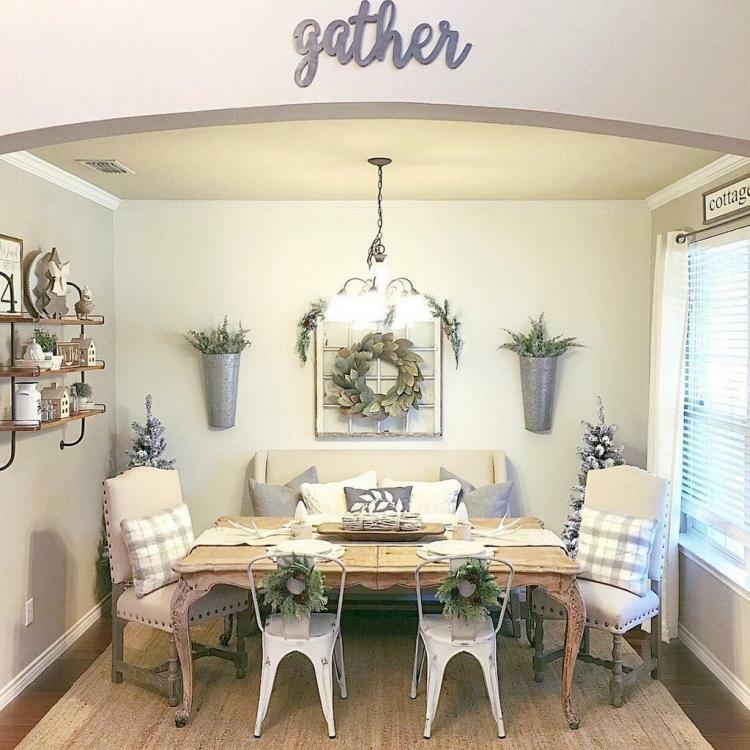 Add the color accent in your existed rustic dining space. Deep blue drapes with prints instantly create a focal point in room. Both color and print show up a bold window treatment that easily draws the people’s eyes. 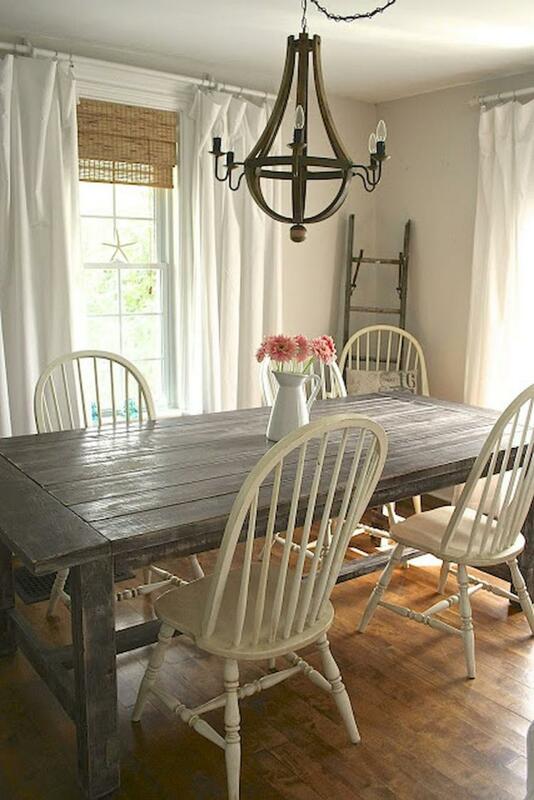 It’s creative to combine rustic elements with something bright like white. 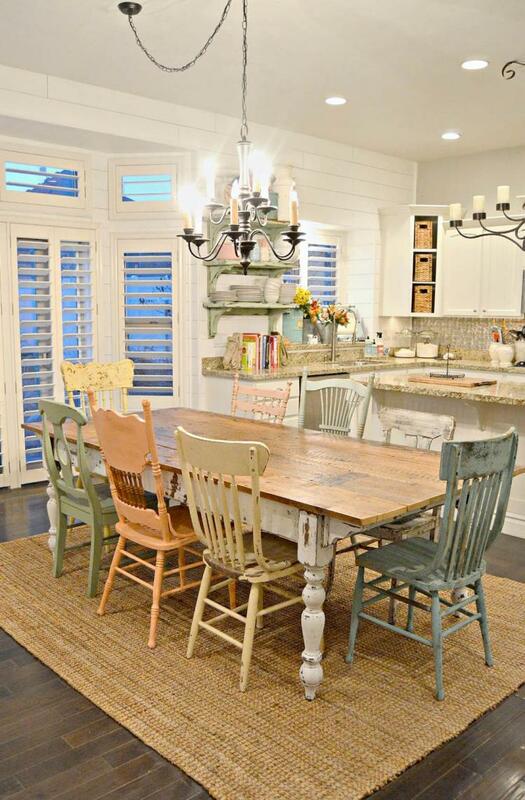 This breakfast nook, for instance, showcases different color schemes in the same frame. Use the same color schemes for more cohesive final look. 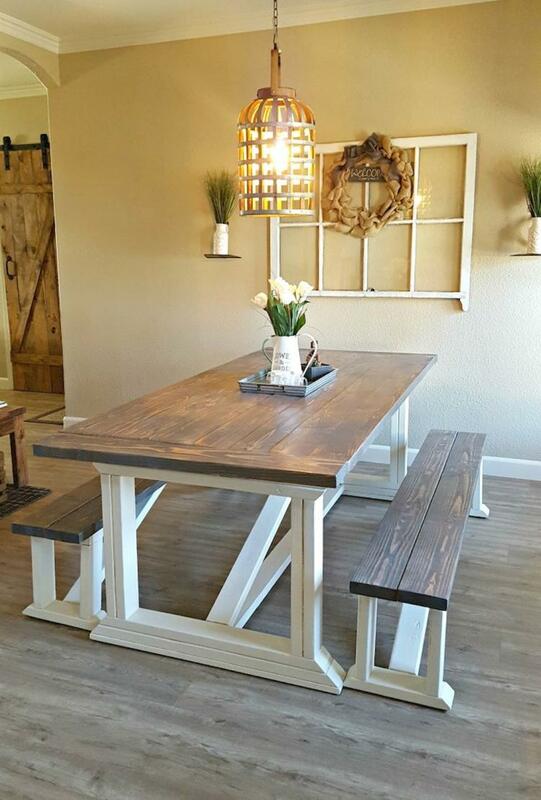 Rustic doesn’t always mean heavy and dark in tone; it could be lighter with softer-finished wood element. 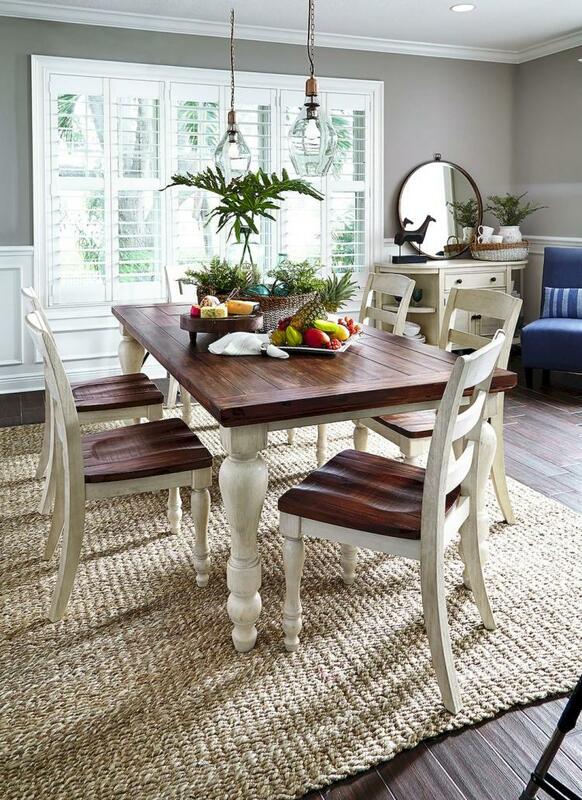 With cream, it would be warmer and lighter rustic dining room design. Add an oversize pendant as a room’s statement. Be different with black. 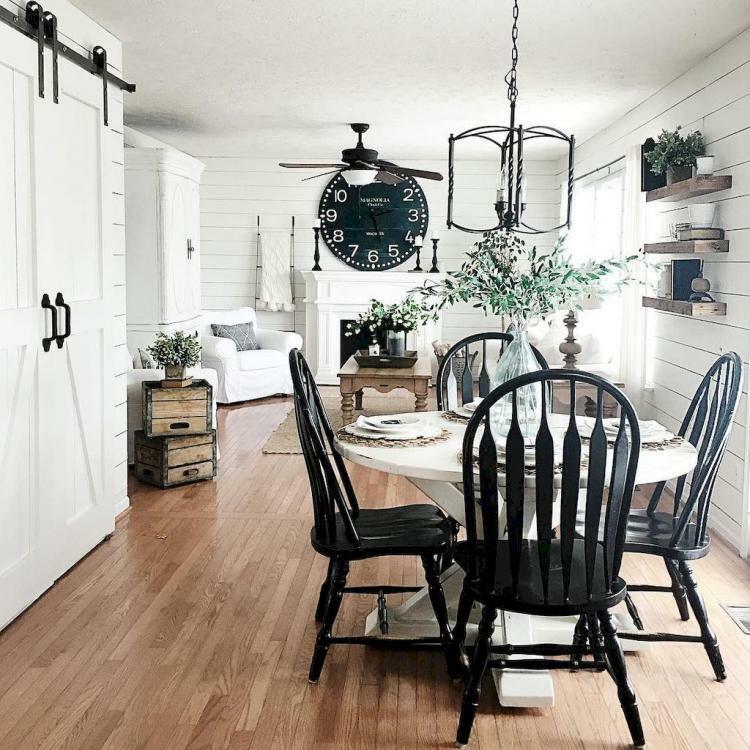 Accentuate your rustic dining space with black that exactly makes it stands out. Use this dark color for your furniture and some essential accessories like this giant clock. 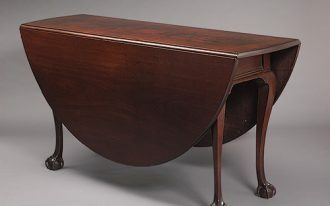 Heavy-look but keeps warmer – this is how I’m feeling when figuring out this breakfast nook. 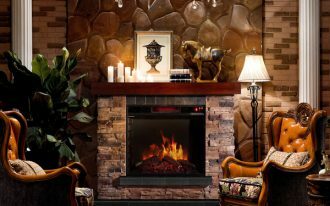 It’s okay to use a tricky idea to make your rustic setting visually warmer. Low-lighted industrial pendants effectively help to create this effect. 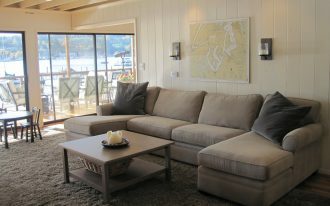 Thick woven rug and hard wood element naturally support that warmth. 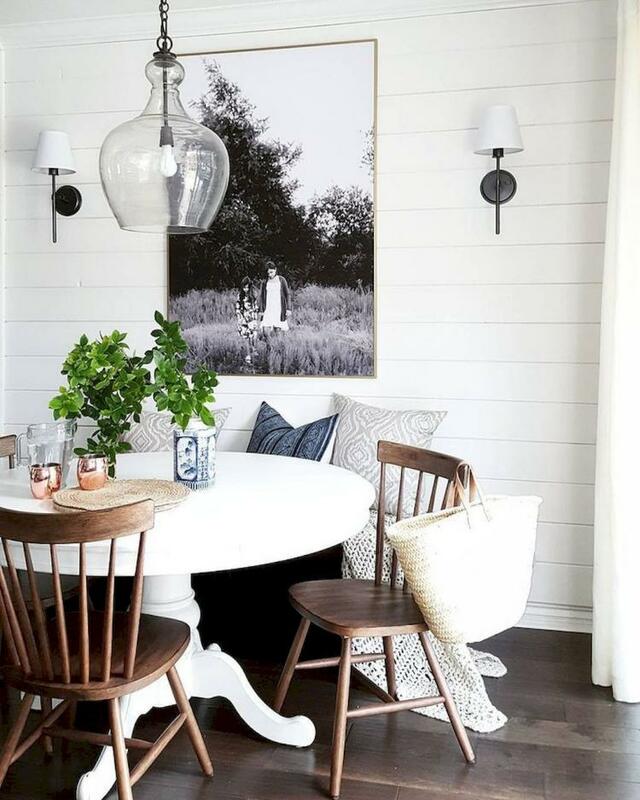 This is another idea of how to decor a rustic dining room with plant addition. Wreath between the potted plants becomes a centerpiece that visually attracts people’s eyes. 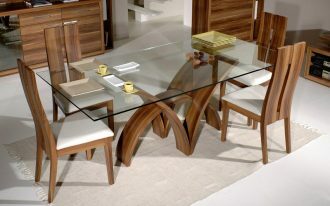 Wooden furniture with white base looks good for modern rustic. Its clean-line and simple design introduce modern touch, but the cage-like pendant offers something classic yet elegant.